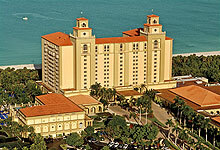 We list and link EVERY lodging provider in Naples / Marco Island that we know of. Like this page ?? 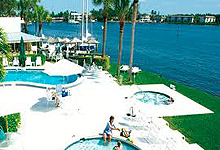 Visit Beachdirectory.Com for even more detailed information about Naples / Marco Island. You’ll be surrounded in total comfort when you experience the Inn’s spacious and elegantly decorated rooms and suites. Choose from 87 inviting rooms, including 11 suites, each with sliding French doors that lead to a balcony or terrace. Every detail of the Inn’sguest rooms and suites has been designed for ultimate comfort and pleasure, right down to our newly renovated guest bathrooms, which sparkle with Italian marble and tile, and luxurious bedding for the ultimate sleep experience. The Ritz-Carlton, Naples was named to Condé Nast Traveler’s 2010 “Gold List” and voted as one of the top 25 hotels in the U.S. by readers of Travel + Leisure magazine in August 2010. Two heated outdoor pools including a family pool, a junior Olympic lap pool, a whirlpool and a children's pool. We have an exclusive world-class spa nestled in the grounds of our Naples, Florida, hotel - featuring more than 30 treatment rooms that combine relaxation and body therapies with wellness and nutrition programs and a complimentary fitness center. Come stay at your home away from home in paradise! 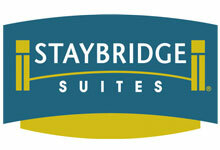 Staybridge Suites Naples is designed to accommodate extended stays. We are an all suite hotel designed to let travelers feel more comfortable than ever before. Each suite is designed for maximum flexibility and adaptability to meet guests' individual needs. 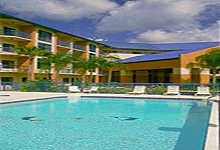 In fact, that’s the idea behind everything Staybridge Suites Naples offers. Centrally located - book online! Located in the middle of everything to do in Naples, the Super 8 Motel has one- and two-bedroom units, all of which come equipped with refrigerators. In addition, there is a heated pool, and golf, tennis and gambling are all within a matter of minutes. 30 tastefully decorated rooms, each with individually controlled A/C & heat, cable TV, phones and ceiling fans. Heated pool for year round enjoyment. We have a laundry facility on the premises for guest use, barbecue grills, convenient parking at each unit, and a friendly atmosphere and staff. Recommended by Lonely Planet! Featuring 100 luxurious studio, 1, 2 and 3-bedroom suites with bold luxury, architecture and amenities in a tropical setting. Enjoy the authentic Italian architecture complimented by the heated outdoor pool, fitness center, Zizi Restaurant & Lounge, whirlpool spa, poolside and room service, catering, meeting space, business center, concierge services and miles of white sandy beaches and golf nearby. Tucked away in a tropical oasis and located near the attractions of Naples. The Best Western Naples Inn and Suites is perfect whether you are seeking relaxation or excitement, with two heated pools and Jacuzzi. The condos, with 1,240 sq. ft. of living space, offer living and dining areas, fully-equipped kitchens, wet bars, separate bedrooms, and washers/dryers. Enjoy the heated pool, watch the children play in their own pool, or melt away the stress in the hot tub. 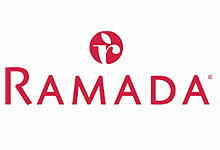 190 luxurious rooms, efficiencies and suites. The Comfort Inn & Suites features spacious, affordable standard double/double or king guest rooms, efficiencies, and one- and two-bedroom suites. 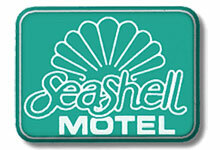 Spacious outdoor heated pool/whirlpool, poolside Tiki bar, game room, gift shop & guest laundry facility. Less than a mile from Naples' pristine beaches, it offers easy access to a variety of attractions. Outdoor heated pool, fitness center. For the business traveler, the hotel offers spacious rooms smartly appointed with full-size work desks, reach-anywhere phones and in-room coffee service. 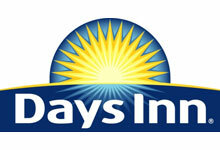 Days Inn when you book here! Conveniently located off I-75 just minutes from Naples Airport, our hotel is only 20 minutes from beautiful beaches and all the great attractions Collier County has to offer. Start or end your day your day with a refreshing swim in our outdoor pool, followed by . Treat yourself to the all–suite comfort and elegance of Doubletree Guest Suites Naples. Our spacious accommodations – inspired by the Mediterranean architecture commonly found along the beaches of Italy – set the standard for Naples Florida hotels. Our friendly service makes you feel right at home. Get energized at our onsite fitness center, or take a refreshing dip in our outdoor swimming pool located right on the river. Corporate travelers can access our state of the art business center. Paradise comes neatly packaged at Edgewater. Bordered by swaying palms and a seven-mile stretch of powdery shores, Naples' Edgewater Beach Hotel & Club combines relaxed style with lighthearted fun. The only all-suite beachfront hotel in Naples, Florida, Edgewater invites you to kick off your sandals - and leave them off - throughout your stay. Book Online to Save! Over 4 1/2 acres of botanical gardens! The staff are long-time professionals with 5-star hospitality training. The staff will make arrangements for dining as well as for golf, sightseeing and ecotourism outings. Swimming pool, jacuzzi, spa, and fitness center. Steps from the beach! GreenLinks is situated within the Lely Resort Golf and Country Club. No other Naples golf community in Southwest Florida can match Lely Resort's 36 holes of championship golf, designed by some of the best in the game. Quick access to the Sun-n-Fun Lagoon Water Park, North Collier Regional Park and the C’Mon Children’s Museum. Enjoy our heated outdoor pool for year round relaxation. The hotel is just a few miles from some of the area’s most pristine Gulf of Mexico beaches and getting there couldn't be easier. 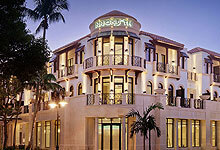 Perfectly situated off the southwest coast of Florida, directly on the Gulf of Mexico, south of Naples. The resort is located just minutes from the Florida Everglades National Park, Caribbean Gardens, historic downtown Naples, and many of the finest golf courses in Southwest Florida. Recreational activities including a heated resort pool, hot tub, two Har-Tru tennis courts and a luxurious full service Spa and fitness complex. We have oversized rooms with private balconies and lakeviews, a heated pool, and complimentary continental breakfast. Extra touches include a 25" remote controlled color television, a full size working desk, a touch tone desk phone with dataport and a bedside phone, triple sheets, large fluffy towels, and French milled soaps. The Inn of Naples is a classic, Mediterranean-style inn with a stunning lobby, offering 63 standard and deluxe rooms, as well as 36 spacious one-bedroom suites with private balcony's, business services as well as our nicely equipped Fitness Center adjacent to the Pool Area. 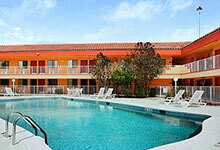 Centrally located - just minutes to Old Naples, the beaches of Marco Island and Everglades National Park. RV sites, Kamping Kabins and tent sites. Open all year, pullthrough RV sites available. Surrounded by the Rookery Bay Research Reserve, perfect for nature lovers. Relax by the pool and hot tub year round. This three-story hotel features contemporary decor and is located just one mile from the beach. We offer beautifully appointed, oversized guest rooms, and a heated outdoor pool. Enjoy a complimentary continental breakfast in the lobby. Each room has free TV movie channels, in-room coffee makers, clock radios, phones, and valet service. Located just two blocks from Fifth Avenue South; popular for galleries, shops, and restaurants; and eight blocks from the beach, the Lemon Tree Inn features a heated swimming pool, courtyard garden, and 34 unique tropical guestrooms. Where hospitality is a family tradition! Welcome to the only beachfront resort in Southwest Florida to feature 318 guest rooms and suites, onsite championship golf, an award winning Tennis Center, large beachside swimming pool, complete fitness center and a world class Spa. Add to that four great restaurants, a sunset beach bar, five retail shops, incredible function space and a complimentary Beach Klub 4 Kids...all on a 125 acre tropical paradise in the heart of Olde Naples. Experience the Naples resort - which blends modern luxury and laid-back style with a host of upgraded features. Our newly-renovated accommodations, attentive staff and full-service spa make this Naples Florida hotel an exquisite retreat for both mind and body. Escape to the quiet seclusion of our white-sand beaches and discover the new standard of hotels in Naples, Florida. Book Online to Save! AAA 3-Diamond Resort. 1 and 2-bedroom suites with fully appointed kitchens, living & dining rooms and screened balconies. Play tennis, dine in our restaurant, BBQ on our decks, or relax in the pool or spa. Other amenities include: HBO, golf nearby, racquetball, trolley stop, free beach shuttle, shuffleboard, volleyball, laundry. Five minutes to world-class shopping and dining! AAA 3-Diamond Resort. 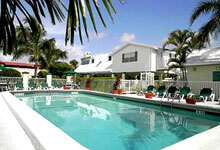 Located within minutes of downtown Naples and the white sandy beaches of the Gulf of Mexico. Quality Inn & Suites Golf Resort is a family-friendly golf resort with a full array of amenities and recreational activities for all. Unwind in our outdoor heated pool & spa. with Holiday Inn when you book here! Enjoy our large heated pool; open year-round and set in a beautifully landscaped tropical courtyard. Perfect location for day trips! Special rates for long-term stays of 7 or more nights. Pate's Steakhouse serving breakfast and dinner daily; quality American fare at very modest prices. Free wireless internet access. 55 spacious rooms fully equipped with a king size bed, color TV, in-room movies, full shower and separate tub. Each room has a balcony, a coffee maker, radio, alarm clock, hair dryer, iron and ironing board, writing/work desk, and computer data ports. Heated pool, free breakfast!